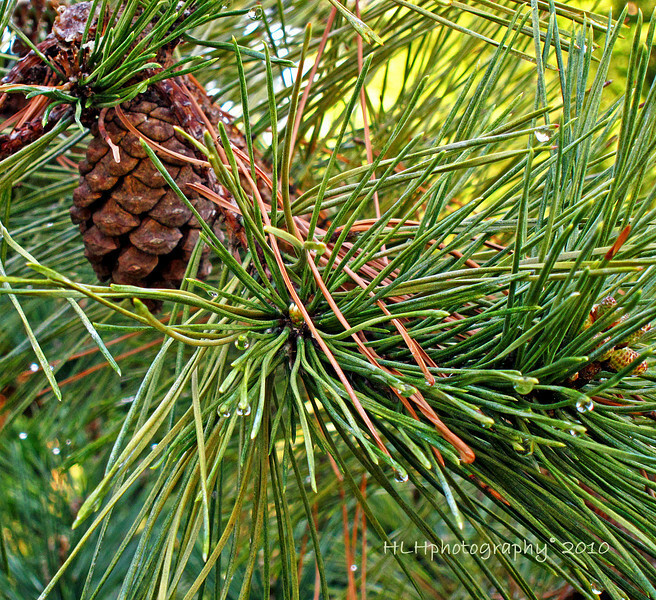 "on pine cones and needles..."
Nice comp, dof and detail. Lovely comp and detail -- it's like I can almost reach out and touch them! the water drops really draw intrest..
Nice little caption there Howard :) Very beautiful macro, love those subtle little water drops peeking out.